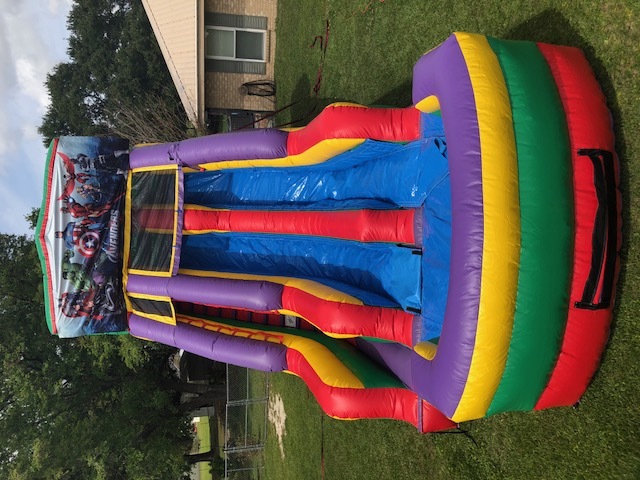 Inflatable Water Slides, Fun Jumps and Bounce House Rentals Company servicing Abbeville La. Bouncing Buddies has been servicing Abbeville, LA since 1998, and our client base and inventory has only gotten bigger since then! We offer delivery throughout Abbeville, spanning all 6 square miles. 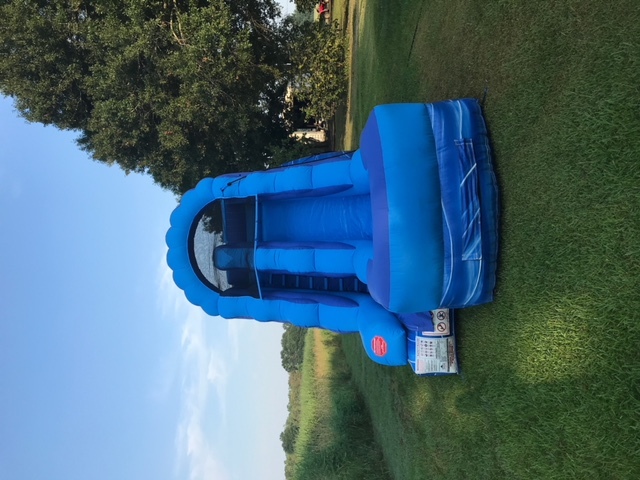 Abbeville's best choice for inflatable water slides, fun jumps, obstacle courses, and themed inflatables as well as amusement rides such as mechanical bulls, trackless trains, and rock walls. We cater to schools, churches, block parties, graduations, corporate events and specialize in backyard birthday parties. The reason the residents of Abbeville trust Bouncing Buddies is because of our three guarantees: 1) on time or it's free, 2) clean, sanitized, and properly installed equipment, and 3) our customers are 100% satisfied before we leave. Our fun jumps are cleaned and sanitized before every rental with all-natural products. Our party specialists know how important your big event is and are trained to guide you through the party planning process, from small backyard parties to large corporate events. For backyard parties, we'll walk you through our many party equipment options based on your needs and interests. 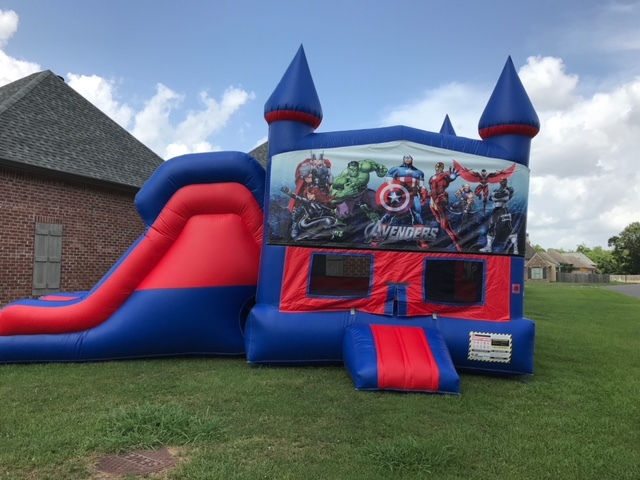 For block parties in neighborhood areas like Gross Isle and Beau Soleil subdivisions, we specialize in themed inflatables with concession equipment to wow your guests. Large corporate events for well-known companies recognized for their quality and service like Acadiana Shell & Limestone and Gulf Coast Marine Fabricators often utilize our tents, tables, chairs, mechanical rides, food, and entertainment. Consider us for your Cattle Festival needs, as well! We have also organized fundraising events and worked with PTA staff at schools like Eaton Park Elementary and JH Williams Middle School, as well as coordinated with principals and assistant principals for award day at Abbeville High School. Our end-of-the-year school parties always give students something to look forward to! If you're planning a youth day or church fair in Abbeville, Bouncing Buddies is the right choice for Saint Mary Magdalen Catholic Church and Family Life Church, and the right choice for you too! Throughout the week, Bouncing Buddies works with day cares like Bright Beginnings Learning Center, Kiddie Land After School Care, and Sam's Kids Safari Preschool to coordinate celebrations for holidays, annual events, and birthday parties. Bouncing Buddies' delivery team is trained beyond manufacturer standards on set up and installation of our vast selection of inflatables, concession equipment, and games. We understand that not everyone has the space to hold their events at home, and instead utilize public parks or halls such as Palmetto Island State Park or L'Eglise--simply reserve your area and ensure that proper electrical standards are met, and we'll meet you there! We are so grateful that Abbeville residents trust us with their party and event needs and look forward to showing you why we're the best name in inflatable rentals in Abbeville, LA! Abbeville Best Bounce House Slection of Clean and Safe rentals. Trackless Train Ride Abbeville, La.